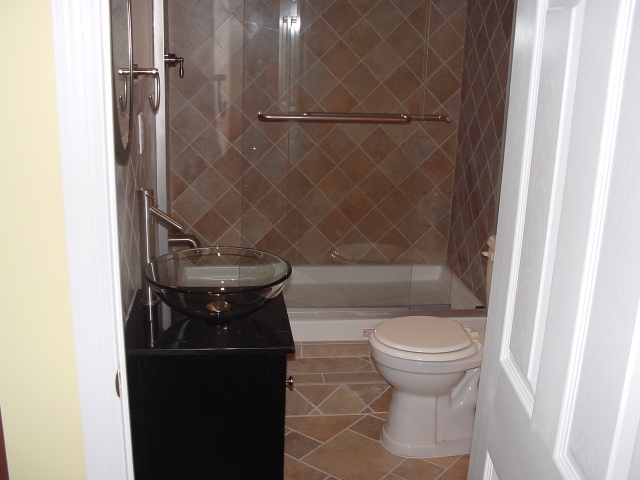 Bathroom Renovation Services | The Basic Bathroom Co. If you are considering a bathroom renovation, be sure to view our archive of articles for bathroom remodeling ideas. You’ll find suggestions on cabinets, countertops, backsplashes, sinks, tile, fixtures, and more, which you can incorporate into your bathroom renovation project plan. Maintaining a manicured yard requires effort, patience, and the right tools. If you’re responsible for the landscaping chores at your house then you should already have the basics—rake, hose, mower—but there’s a whole other world of gear out there that's designed to target specific problems and make your work a lot easier. Check out these creative tools you can call upon this spring, summer, and fall. While there are many bathroom floor tile options, knowing the pros and cons for each will help you make the right choice in your home. Here are some pointers on prep and techniques for how to paint a ceiling that will help you accomplish the job easily and successfully, just like a pro. When it comes to retiling a shower, or planning a new bathroom remodel from scratch, many homeowners are overwhelmed by the array of options for tile material, design, and placement. From the classic to the kinetic, here are 10 shower tile ideas to help inspire your own shower redo. Get this bathroom chore done quickly and easily with the right formula for your household. Read through these 10 hidden signs of plumbing problems in your home so you'll know when it may be time to call in a professional. Learn what caulk is right for your bathroom project and enlist one of our picks for good-looking, long-lasting results. Understand what makes vinyl such a viable flooring option—as well as the downsides to this popular product—to decide whether to install it or remove it from your home. Find a shower curtain that’s the perfect size, style, and fabric for your bathroom. Renew your loo by putting a fresh, clean coat on your worn-out old tub. Make sure the caulk you apply for your next project dries and cures completely to achieve long-lasting results. Bathroom Floor Tile: Which Is Best for You? before you call a contractor or pick out the perfect slab of granite for your new countertop, you should know how much the renovation project you're about to tackle typically costs. Here’s what Americans are spending, on average, for some of the most popular home upgrades. When upgrading your bathroom, don’t forget to think beyond backsplashes and vanities to consider what lighting elements would best assist in your morning routine.